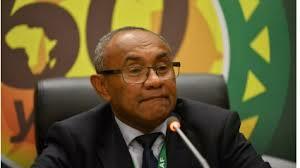 November 13 – Somewhat embarrassingly for the most powerful official in African football, Madagascar’s Ahmad Ahmad (pictured), FIFA has appointed a normalisation committee to run the affairs of his country’s federation, the latest African FIFA member to become embroiled in internal politics. The normalisation committee’s mandate will include organising elections and identifying “legitimate delegates” for the FA’s general assembly. A joint FIFA and, ironically, CAF mission will be deployed to Madagascar to identify who should make up the new normalisation committee. All members must pass an eligibility check to be carried out by the FIFA Review Committee, with the committee to conclude its mandate by May 12 next year. Nine candidates had apparently applied for the presidency of the Malagasy Football Federation but local reports said last weekend’s election couldn’t take place amid reports of arrests and corruption. Of the 22 presidents of regional leagues, only 14 were reportedly present to vote meaning the quorum of 15 was not met. FIFA has also appointed a normalisation committee for the Dominican Republic Football following the recent decision to ban Osiris Guzman, President of FEDOFUTBOL since 1998, for ten years from all football-related activities.